These days, home assistant speakers are hot stuff. We’ve signed all the T&Cs and asked Alexa and Google Assistant all the weird questions a five-year-old might ask a beleaguered parent. 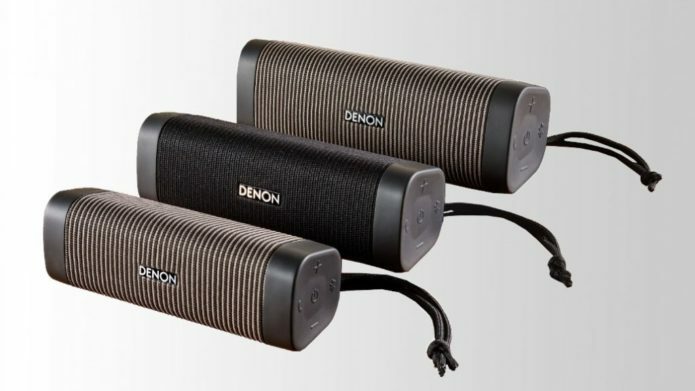 Traditional Bluetooth speakers like the Denon Envaya aren’t as in the spotlight anymore. However, this one proves there’s life in the category yet. The Envaya isn’t here to slyly harvest information to feed your ad profile. It’s here to blast out tunes wherever you go, and it’s extremely good at the job. Indeed, the Denon Envaya is one of the best-sounding small wireless speakers, rivalling the fully wired Sonos One. 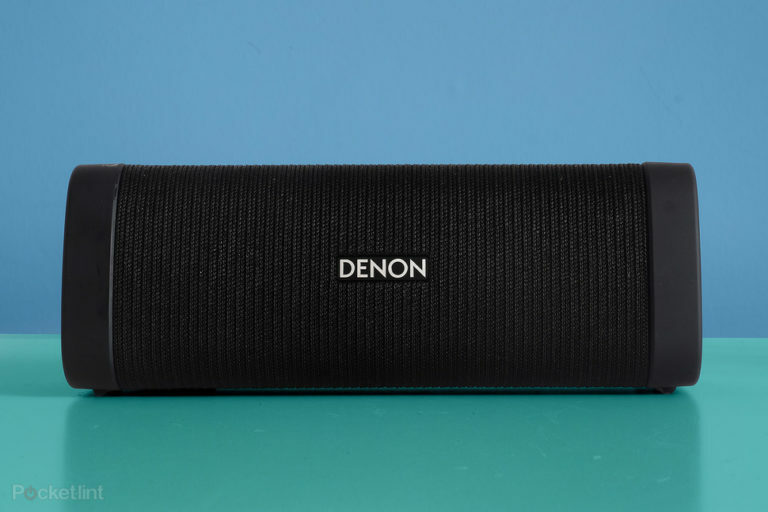 You’d hope the Denon Envaya would sound good, as it is larger than your average “small” wireless speaker. It’s easy to carry around in one hand, but it will take up a good chunk of your cabin-ready bag if you were to take it out for a weekend city break. That’s why Denon has made three models in the new Envaya family, the 250BT being the largest. The Envaya Mini (150BT) and Envaya Pocket (50BT) get progressively smaller and cheaper. This biggie is £169, the Mini £129 and the Pocket £89. But the model we’re looking at here will sound the beefiest of the lot. The Envaya design melds the ruggedness of a classic lifestyle speaker with the grown-up, neutral look of one you might give a permanent space on a shelf in your living room. Its front is fabric, the sides rubberised plastic. It’d look good nestled in-between some books, but it’s ready for the outdoors thanks to IP67 water resistance. 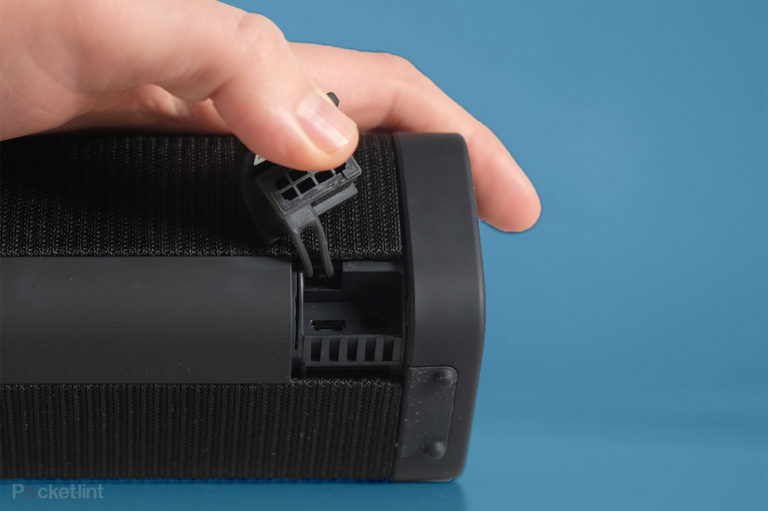 The Envaya can handle being submerged in water of 1m depth for 30 minutes, even though the front fabric is more like that of a hifi speaker grille than the weaved nylon used in rivals like the UE Megablast. Running the speaker under a tap, the fabric does absorb a little water rather than repelling it. Treat the Envaya as a speaker that can hack water, rather than one that loves being dipped in the bath every other day. As usual, a big rubber bung on the back is key to the water resistance. It covers the Denon Envaya’s Micro-USB charge port and the 3.5mm Aux input. The battery lasts for up to 13 hours off a charge. 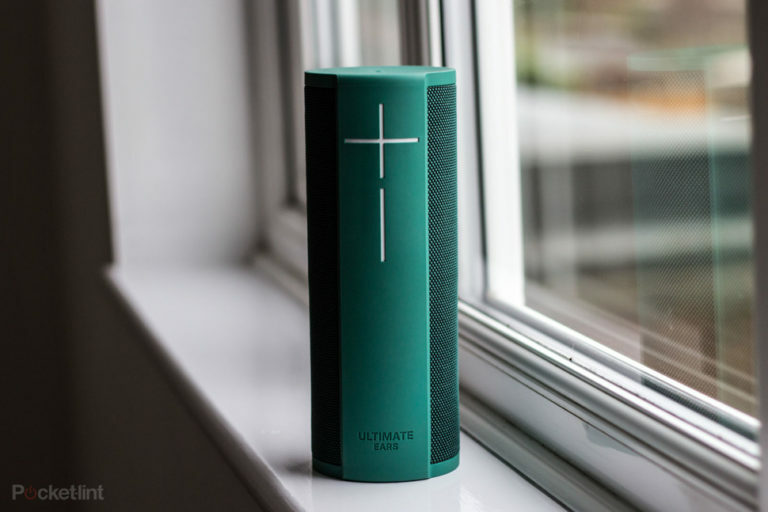 That’s seven hours less than the UE MegaBoom, but still good longevity for real-world use. Charging takes 3.5 hours, long enough to require a little planning. The Envaya is a relatively simple gadget. It doesn’t have Wi-Fi or NFC, and there’s no companion app to worry about. However, there are a few notable extras: there’s a mic to let the Denon act as a hands-free call speaker, and when you press the “phone” button on the side it’ll activate Apple Siri or Google Assistant. This isn’t a digital assistant speaker, but does let you talk to them if you must. The side buttons provide one of the few complaints we have about the Denon Envaya. These volume, Bluetooth and power-controlling buttons are built into the rubbery side, and require a good amount of force to depress. A casual prod just won’t do it. We do tend to control volume mostly with our phones, but to get room-filling sound you will have to use these controls – as maxing out Bluetooth volume does not also max-out the Envaya’s amp. There are some thoughtful elements that take the sting out, though. Press the power button briefly, for example, and a little five-LED battery indicator appears on the front. It’s completely invisible until you do, making it a classy design touch. The Denon Envaya also supports aptX for higher-quality Bluetooth streaming, and if you connect two of these mini towers they’ll become a stereo pair. On its own, the Envaya provides a remarkably good stereo image, though. There are many things to like about the speaker’s sound, but its large, well-separated soundstage is a real highlight. After listening to it for just a few seconds, we could tell we had something a little special on our hands. The usual standard for a good small Bluetooth speaker is that it should sound a lot larger than it looks. The Envaya goes further, offering sonic coherence and tonality we associate with one you might use as a home speaker rather than one to sling in your bag. It provides this with a humble driver array of two 40mm active drivers and a passive radiator, covering almost the entire front. Bass depth is excellent for a small unit, the first stirrings at around 56Hz. As ever with a smaller speaker that relies on a bass radiator, there is a point at which the bass simply drops out. But until it reaches that low sub-bass zone, the low-end is powerful, balanced and faster to react than that of most Bluetooth speakers. It is also better separated than the bass of classic models like the Bose Soundlink Mini II and Jam Heavy Metal, and holds up at low volumes. The Envaya’s treble is detailed and smooth, easy on the ear, if lacking serious bite where treble and mids meet. Aside from the great soundstage and coherent stereo imaging, it’s the mids that mark the Denon Envaya as a top small speaker. Take an album like the Chilly Gonzales and Jarvis Cocker collaboration Room 29: it features vocals so prominent and raw it easily reveals speakers that serve voices with claggy clumps of bass attached. And those than lean to heavily on treble to provide detail missing in the mids. The Envaya doesn’t suffer from either effect. It puts out real mid-range texture, which is impressive considering the tiny 1.5-inch drivers. 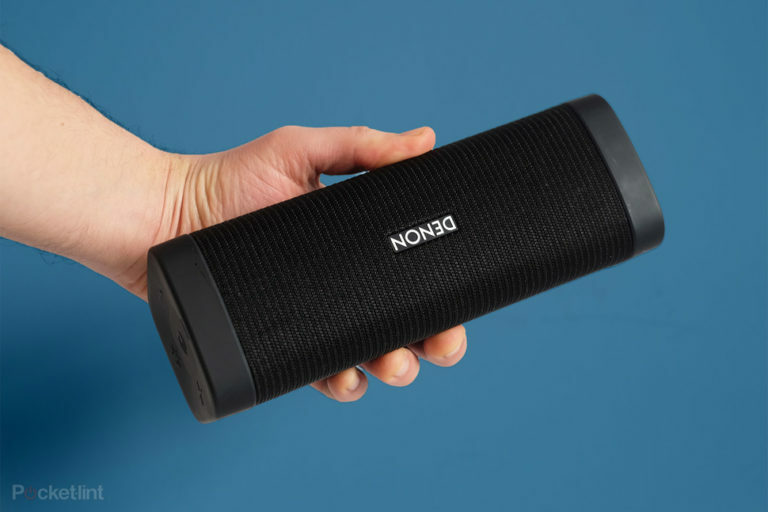 As you’d hope from a hifi brand like Denon, this is a portable speaker for those with more discerning ears. Listening to the Envaya side-by-side with the Sonos Play:1, which uses a long-throw woofer instead of a passive radiator, the Sonos’s mids are a little smoother and bass a little more assured at high volume. However, they are comparable, which is impressive given the Play:1 is larger and not portable like the Envaya. This is also a big step up from both the original Denon Envaya and Envaya Mini. In the great league table of small speakers, the Riva S still beats the Envaya for the clarity and projection of its mids. It has an even more “hifi” sound, but the Envaya’s deeper, room-filling bass may be worth the trade off for many. 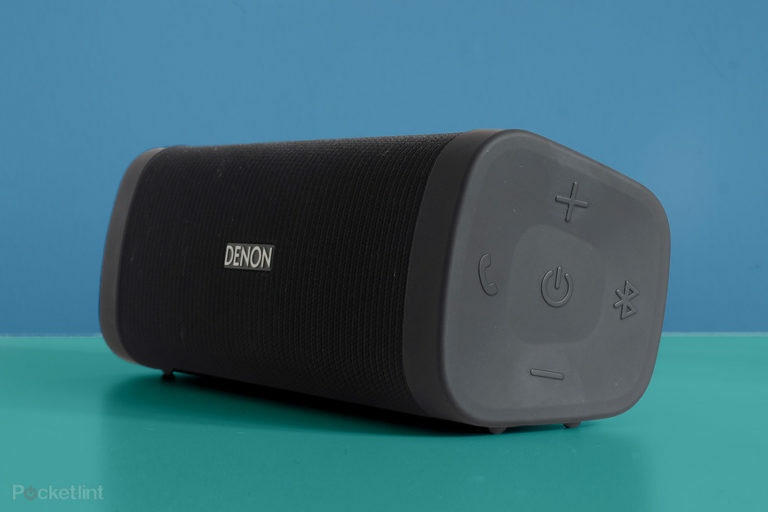 The Denon Envaya is a satisfying, semi rugged and great-sounding speaker that balances fidelity and power like a pro. It’s one of the very best you can buy at this size. It may not have every flash new feature currently getting wallets to open, but while phones continue to have speakers that can barely compete with the sound of a boiling kettle, gadgets like this earn their place in our home line-up. This bass speaker has a more youthful look than the Envaya, and offers plenty of bass power. Its rugged finish is also less likely to get damaged with rough treatment.